PV1 wrote: Funny thing is, one of the prototypes was longer, giving the car a much sleeker look. Shown below is the 2003 concept car. Wow, I LOVE the look of that car! 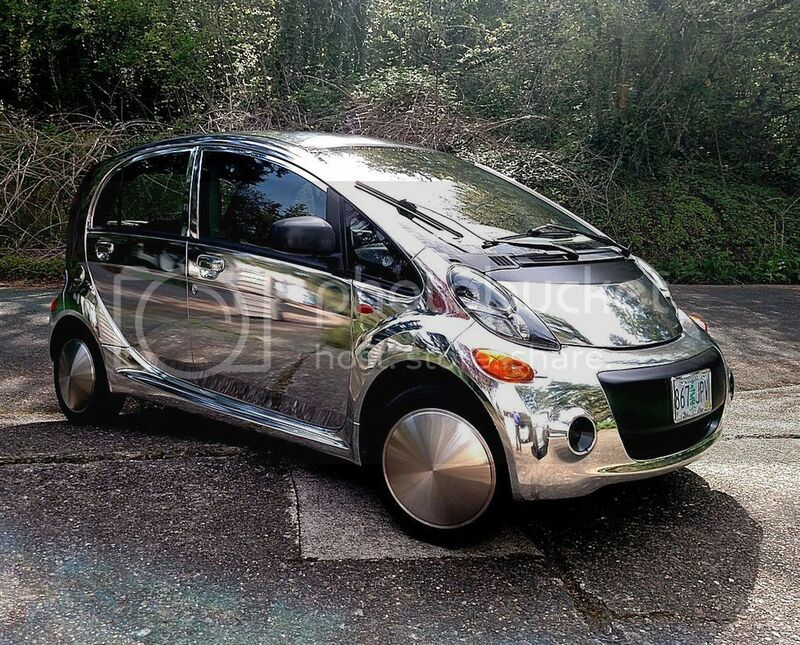 Too bad they didn't make this the follow up to the current i-Miev. That really is nice. I will have to save that image to give me hope that someday we will see cars like this... Very sweet! Marty, those look like Mooneyes covering the wheels. Correct? How are they attached? I was wondering how they have worked out long-term? Any galling or dirt accumulation between the covers and the wheels themselves? I need to look back over these threads as I believe jray3 tried them for a while and eventually took them off and I had issues with them on my Gen1 Insight (they chewed up the car's alloy rims). These caps are just ordinary 15-inch hubcaps I found on E-bay. But I have had a problem with keeping them on! lol. And I only have that problem on the driver's side front wheel. I have thrown 2 of them off the car when going over potholes at speed. I have no problems with the other three wheels. Anyone have a theory? Thanks for the compliment on the wrap. Those wheel covers are now with an i-MiEVer who isn't active on this forum. Thanks for the response. I know the "crinkled" noise. Yes, mine makes the same noise. But I sure do like the look. The disks I'm using are the same spun stainless. However, when i look at the stock plastic hubcaps, and the stainless ones, I notice that the shoulder on the plastic one is much broader; it extends into the wheel about an inch more that the grippers on the stainless. Hmmm.